The Delta Faucet Company has launched a new, cross-platform marketing campaign called HappiMess. In addition to airing on network television and cable programming, and appearing in Southern Living, HGTV, and Real Simple magazines, HappiMess' campaign will have a heavy digital presence. Placements—handled by Spark, Delta's media strategy and buying agency—will appear on Facebook, Twitter and Instagram, and also within online communities that encourage user engagement and sharing, such as Buzzfeed and Mode Media. 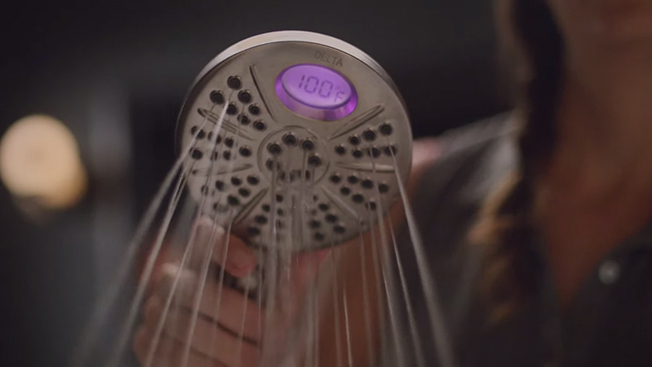 According to Catherine Roper, Delta’s brand marketing director, the goal of the campaign marks a significant shift towards digital for the faucet and fixture company. "We want to help consumers embrace 'HappiMess' with confidence, knowing our kitchen and bath innovations will be there to help with the cleanup," she said. Rather than focusing on products and technology, #HappiMess takes a lighter, lifestyle-oriented approach, encouraging actual consumers to share their brand interactions, per a statement from the brand. Delta will launch a social media sweepstakes on Aug. 11 where consumers submit photos, videos and written comments tagged with #HappiMess, with the chance to win Delta products. This user-generated content will be displayed at DeltaFaucet.com/Happimess. Dave Morse, digital marketing strategist at Delta, commented about the prevalence of social media during a podcast for SocialPros in May. "It’s about providing good information that people find valuable, adding value to people's lives. And there is also the conversation piece: Keeping people engaged and talking about the brand."